Remember this, what we call stress, is really what we put on ourselves. Whilst other people can influence the way we feel, ultimately we are the ones who choose whether we are going to be stressed or not. You are in control of how you are going to feel, no one else. Stress as such is going on in our heads, so the real secret to de-stressing is to find things that would make you happy and content within. Think back through your life, what is the happiest moment in your life. It could be the birth of your child, getting married, going out on a fantastic date, visiting some outstanding place or maybe it is when you bought your puppy dog but no matter what it is, you will almost certainly have a photo of that time. Take that photo and put it on your desk to remind you of those happy times as this will be one of the tools you need to beat stress in your office. The happiest time in my life, and where I felt like the luckiest man in the world, was the day my wife stepped out of the limousine at the church for our wedding. I had never seen my wife look so beautiful and I made sure when I felt those feelings that I would remember them forever. So on my desk at work, I have a picture of my wife getting out of the limousine and each time I feel stressed I simply take a few moments to look at that picture and remember that moment in time. You brain is an amazing part of your body, no matter how many times I look at that photo, my brain releases the same feelings I had on the day and helps me snap out of feeling stressed. Use the happy times, to control the times when you feel the most vulnerable and stressed. Everyone has nightmare stories of their bosses being a grouch and I certainly have had my fair share, but most people who talk of being excessively stressed often relate that stress to a boss who is abusive and yells a lot. Well first off, if you are working in an environment where you boss is abusive, get out NOW! Nobody has to put up with that and remember life is way to short regardless of the money. Is money worth that much that the stress is worth dying tomorrow from a heart attack? NO! However, if you have a boss who yells at you a lot, just for the sake of yelling and really is quite rude, simply imagine them yelling at you naked. If someone flew into your office absolutely starkas, that is with absolutely no clothes on, would you take them seriously. Course not! So, why take a boss that comes in and yells at you seriously. If your boss is an effective communicator he or she would not need to yell at you. The next time your boss comes in, force yourself to think of them absolutely naked. When you do that, see just how you actually react and whether you deal with the situation better than when they are yelling at you absolutely naked. After a bit of practice you will find you are able to handle the situation much better and cope with a grouchy boss. Look no one on the planet can deny that doing exercise, gets the blood going and burns off the stress however sneaking away during the day can be really difficult but there are other Office Exercises that can bring you a lot of benefit to you. There are many office exercises that you can do like rolling your shoulders, clenching your hands and releasing them and even neck exercises that will help release the stress. Often, much of our built up stress is simply due to sitting at the computer all day looking at the screen. Make sure that every hour you get up and stretch for at least five minutes. You will find that if you do not do that over a period of time this will lead to aches and pains, which can help increase your stress. To get the best Office Exercises for you to do simply talk to your General Practitioner or visit a Physiotherapist and they will be able to help you develop an Office Exercise plan and you will be surprised how much easier life is to cope with. I worked for a bank about five years ago and I have never met an organisation that has so many meetings. My whole days constituted going from one meeting to another and I learnt one very important lesson. If I did not run my schedule my meetings would. Make sure that when you schedule an appointment or a meeting that you include travel time to and from a meeting. Whilst working for this firm, if you did not schedule travel time, they would simply book meetings next to each other even if the meeting was across the other side of the city. They would simply expect you to immediately appear at that other meeting. Message to All Humans – we do not have an instant teleporter, the Stargate is a fantasy, so make sure you give yourself enough time to get from one meeting to another or you are going to stress out. We talked about scheduling time to get from one meeting to another in the previous point but there is an extension to this. Make sure YOU plan your day, not your business associates. All too often I hear management say, “I did not get lunch today” or ” I have been on the run and have not had a chance to stop”. Come on, get a grip, you are in control and it is up to you. The first thing you should do in every job you work in, is to make sure you schedule two decent breaks a day which include at least half an hour for lunch and a 20 minute break somewhere else in the day. If you are like most people you will be using something like Microsoft Outlook or Lotus Notes to manage your day. Both allow you to schedule unavailable time in your calendar, so do IT! By scheduling YOU time, you can ensure you have enough time to have a break, do a little meditation and relax and prepare for the rest of the day. If you are like me and work 16 hours a day, then you should also be putting into your plan a decent Dinner break of at least an hour and half an hour at the gym, even if it is just using the treadmill. If you do not do this, it will catch you up to you and you will be a statistic at 40. Do not laugh, my leading hand lost his life because he did not do the right thing. It can happen to you. Technology is a wonderful thing, but when technology rules your life, then you have a big problem and very quickly technology like email can overwhelm you causing you to become stressed. One of the rules my team and I have in the office is that nobody must respond to emails for more than 60 minutes per day. The reason we have put this rule into place, is that many of my team and our corporate clients spend their whole day emailing each other rather than dealing with the issues at hand. How often have you received an email on one topic and then have the content of the email go off in another direction right before your eyes? I was working in one corporate organisation as an external consultant and very often all I would do is simply respond to emails all day long and get nothing done. Most of the emails could have been dealt with a 2 second phone call. In one of the offices I was working in, it was an open plan office layout and I had a bloke working directly across from me, who refused to speak to me or anyone else on the floor and all he did was when he had an issue, he would send an email. This is a crazy way to do business and it does not work and only causes technology stress. My solution, each time he emailed me, I simply spoke the answer back to him. He got the point after a while and my email load went down when he spoke to me rather than emailed me. Technology is supposed to make life easier, not take over your life, so if you have a question and the person is sitting in the next office, get up and knock on their door and ask the question. By doing this you are undertaking item number 6 which is limiting your emails and item number 3 which is get up and do some office exercises. That little bit of walking will help get the blood flowing through you veins. Where is the point in saying to our bosses, “Yes we will have this 500 page report written for you tomorrow”. When in reality there is absolutely no chance of that occurring. Sometimes in this world you simply have to say no and that does not go just for the boss, it also goes for the customers as well. My team and I have a seven day schedule across the various businesses I run and whilst we do not all work seven days a week, sometimes we do work six days a week to get through our responsibilities. One weekend I had one of our customers, mind you it was 6:30 am on a Sunday morning demand one of my team from our car cleaning business, drop everything and clean their car at 7:00am because an important family member was coming. There were many responses I could have given, but my simple answer was NO! The customer ranted and raved for about 10 minutes by which time I was imagining them naked yelling at me, which really was a funny site and then when they were finished and I simply asked them would they be prepared to work all week including Saturday and Sunday for the next 2 weeks and their reply was “NO, My Weekends Are My Own and I am not working them for anyone.” Then I simply responding by saying to them, then there is your answer and I hung up. You know the funny thing, they rang me on Monday morning and apologised and we did the top car cleaning service on their car the following week. I charged them more as well. 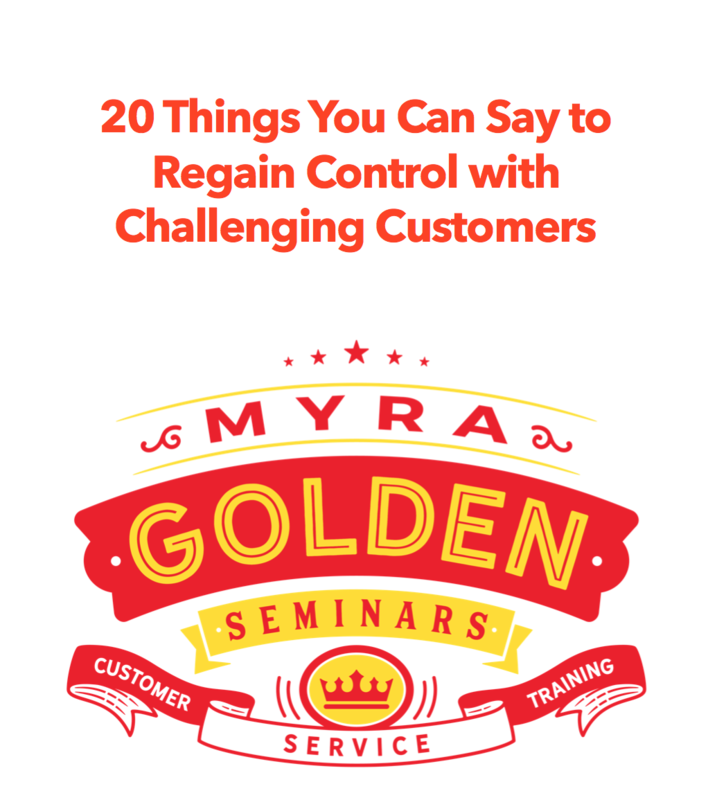 Most customers will accept the answer of No when they understand why you are saying No. Some will not, but then do you really need them as customers anyway. This is my favorite de-stressing activity and it shocks the living daylights out of everyone. I first met a lady about 10 years ago who was in her early fortys and nothing seemed to shake her stature. She was always calm and never got flustered and I asked her what her secret was and she said, “I always take my shoes off as often as possible so I can stay in touch with the earth”. This was a really prominent statement for me, because I never really thought of my shoes as a tool to disconnect us from our surroundings but if you think about it, it makes sense. If you go down to the beach, what is the first thing you do. You take off your shoes to feel the sand through you feet and how does it make you feel, relaxed. If you go to the park with the children, what do you do? Take your shoes off so you can run around and have fun or to play in the mud. Whether we realise it or not, when we disconnect ourselves from mother earth we really do start to stress. I now always take my shoes off when I am working in my office, including my socks just so I can feel something more inspirational under my feet rather than just the hard soles of my shoes. I know another corporate CEO in Brisbane Australia, who used to walk down to Anzac Square every lunch hour to walk on the grass so that he could stay in touch with the world. Hey, if it works in the movie Pretty Woman, surely it must work. Listening to the right type of music is really important when you are trying to reduce stress and find your inner peace. Some music when listened to, whilst stressed, can in fact heighten your stress levels. One type of music, which research has shown to help reduce stress is Baroque music. This music is written so that there is only 60 beats per minute and funny enough that is what our heart rate should be. The baroque music has been found to increase the alpha waves in your left and right sides of your brain which help improve your learning ability, creativity and calmness. Whilst you are working in the office on a demanding piece of work, simply put in a CDROM of music and listen to it as you are completing the work, but honestly do watch the type of music you are listening to or it can back fire. Most corporate organisations are now realising the benefit of staff listening to music during the day and with 90% of corporate computers having CDROMs, it is possible to listen to music on your computer whilst doing your work, you may just need headphones. I work in hundreds of corporate organisations a year and only one had a no music policy and that was because they were a call centre, which I can understand. There is no reason why you can not listen to music during your break though to ensure you a feeling calm before hitting those phones again. Okay, I can hear it now, “Oh Yeah Hippy, Want Us to Meditate do ya.” Absolutely! Look whilst meditation has certainly been a thing of fringe groups in western society or associated with more eastern religions many researchers are now coming to the distinct conclusion that meditation can make a huge difference to our day-to-day lives and helps us to overcome stress. The office environment in these millennia is far more stressful than they were a century ago, but there are things you can do about it but it is up to you. Remember, we only have one life and it is not a dress rehearsal so get out and reduce the stress your office gives you and have some fun. To finish off let me reiterate the ten things you can do to reduce your stress at the office. The world we live on is nothing but a mound of chaotic pressure that is building to the point it bursts like a volcano. We are bombarded with pressure from our employers, our customers and families to the point where some people actually do break. Most of us today in professional lives spend between 8 and 16 hours a day at the office, which equates to almost two-thirds of our lives being in a place we really do not want to be in, but there are things you can do to decrease the stress. Next Next post: When calibrating for quality call monitoring, do you suggest calibrating scores only or also the coaching?